My new App is coming and I couldn't be more excited to share it with you! Tons of new app features, workouts and my favorite nutrition meals. Sign Up below to be the first to know! 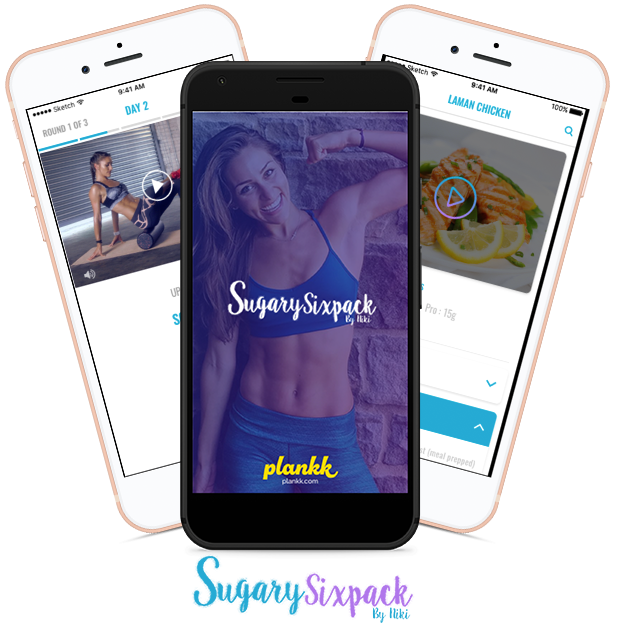 Already an App subscriber to the old Sugary Sixpack App? Choose your Sugary Sixpack plan for either at home or with equipment. Niki's favorite meal recipes, videos and exclusive content. Track your progress, share within the app community, friends, and Niki! Congratulations on becoming a Sugary Sixpack App insider!